O Allah, O Lord of Muhammad ﷺ and the progeny of Muhammad, Unite me and Muhammad ﷺ in close proximity, O The One Who Answers. O Allah, Surely he ﷺ is Your greatest door, and Your straightest path ﷺ, and there are no roads (to You) except by way of this door ﷺ, and there are no entrances except by way of him ﷺ, O Giver (of divine gifts), cause me to enter upon You by this door ﷺ, and honor me with (spriritual) unveilings. O Allah, do not forbid me from seeing him ﷺ, nor from gazing upon his face ﷺ, nor admission to his blessings ﷺ, nor close proximity to his care ﷺ. Make me, O Allah, to always be under his gaze ﷺ, and make me close to him ﷺ, O The One Who Answers, O The One Who Answers. All praises be to Allah, the Lord of the Worlds. And may the blessings and peace of Allah be upon our Master Muhammad ﷺ, his progeny and companions. The shuyukh recommend reciting at least 300 salutations upon the Prophet ﷺ everyday. 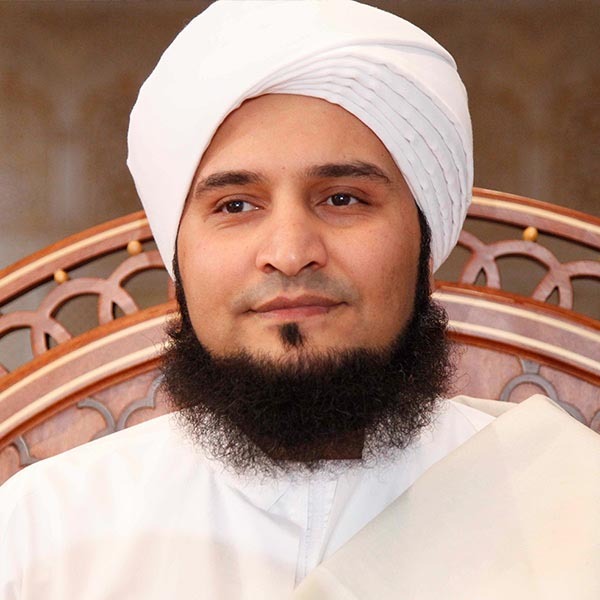 To connect with his presence ﷺ, Habib Ali recommends reading the books of Sirah i.e. Prophet’s Biographies ﷺ, the books of Shama’il i.e. the books describing the physical form of the Prophet ﷺ, and the books of the Khoso-is i.e. the books describing the special, distinguishing features of the Prophet ﷺ. Meaning: O Allah, send blessings and peace upon our Master Muhammad ﷺ, his family, and his companions, and remove the sadness of my heart in this World and the Hereafter. We were granted permission in this great fawaid by Habib Hussein bin Umar Al-Haddad, who received it from his father, Habib Umar Al-Haddad, who received it from Habib Abdullah bin Muhsin Al-Attas, Sohib Bogor, Indonesia.